Wildwood River Press announces a new book of poems: Night Train Red Dust: Poems of the Iron Range by Sheila Packa. These poems are about the Iron Range in Minnesota, the Vermilion Trail, and they are stories of travel and derailment about mining, radical politics, unionizing, accordion music and strong women. The book brings together history, geology and the community of people with iron in their veins. Sheila Packa, the granddaughter of Finnish immigrants, grew up near Biwabik on the Iron Range. She has three books of poems and has edited an anthology of seventy-five Lake Superior regional writers. She has been a recipient of two Loft McKnight Fellowships, one in poetry and one in prose. She has also received fellowships and funding support for projects from the Arrowhead Regional Arts Council. She served as Duluth's Poet Laureate 2010-2012. More information is available at sheilapacka.com. Cloud Birds is a breathtaking flight through the western shoreline of Lake Superior north to the Iron Range of Minnesota. The poems are about bears, immigrants, bird migration, and women moving through violence. I came home to hear the great grey owl call into the early dark beyond the clearing over the growl and screech of an animal sheltered by fallen tree burrowed out of reach of talons and beak below the black tangle and pine spears above crystalline snow and moonlit drift a merciless hide and seek followed by inscrutable silence near and far the lift of dark wings into the old ash and gleam of star or flame with no in- or exhalation where wind hauls its ice and diamonds sift into the blue night. Midwest Book Review writes: The changing of seasons, the changing of life seems to move so much faster in the north. Cloud Birds is a collection of poetry from Shelia Packa, a Finnish American woman who calls Minnesota home, viewing the changing of nature and life as she sees it and always moving. Cloud Birds is an excellent compilation of poetry driven by both humanity and the beauty and uncertainty of nature. Cloud Birds: "we live on both sides of the border/in two countries/in and outside each other/bone and blood/in disguise without intention or force/without blandishments/blown by wind/silent like shadow crossing and crossing/over the boundaries without end/borne by moon or sun/burnished by wing." Wildwood River announces the publication of Echo & Lightning (expanded version), a book of poems, by Sheila Packa. It's a love story as well as a story about migration and change. Sheila has had her work featured by Garrison Keillor on The Writer's Almanac and anthologized in To Sing Along the Way: Minnesota Women Poets (New Rivers Press) and Beloved of the Earth (Holy Cow Press). Kirsten Dierking (author of One Red Eye and Northern Oracle) writes: "So many poems in Echo & Lightning reveal what has to be given away in order to be filled with something greater--a more intense spiritual awareness, a fuller connection with the landscape, a more generous and all-encompassing love. Echo & Lighting transforms us into something freer, wilder, more given to loving, while reminding us that to fly is to risk leaving the old behind ... "
Ellie Schoenfeld, author of The Dark Honey, writes: "These poems are the story of following one's own instincts to, in one way or another, migrate. They bring us to the exact moment when we surrender to our truest selves, when we allow ourselves to be transported, transformed, resurrected." The Northeast Minnesota Book Award reading team, May 2011 writes: "Lyrical, intimate, all while challenging your personal status quo or inertia. These poems by Sheila Packa evoke all the senses to come to attention - so you don't miss a single, heightened note. Written to be read to the voice of the cello, the experience of reading them to yourself is like swimming in very deep water (at night! )- exciting while pushing you beyond your present limits to LIVE more fully than you ever thought you might!" 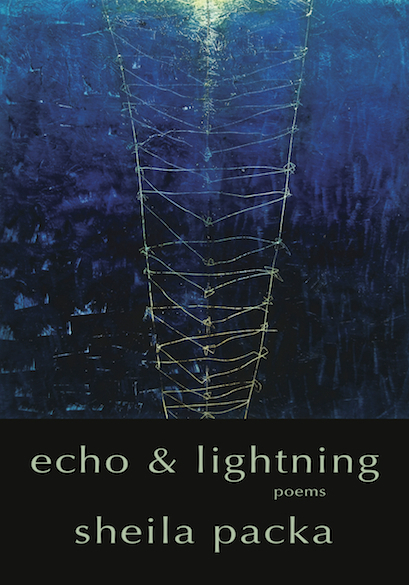 Echo & Lightning won the 2011 Goldie Award for Poetry from the Golden Crown Literary Society. According to an ancient Greek story, the god Chaos was the first to emerge at the creation of the universe. Soon after her came Gaia (Earth), Tartaros (the Underworld) and Eros (Love). In many versions, Chaos then gave birth to the Birds. From the primordial depths of time, from Chaos herself came these winged first beings. This wild birthing created migrations and flight. 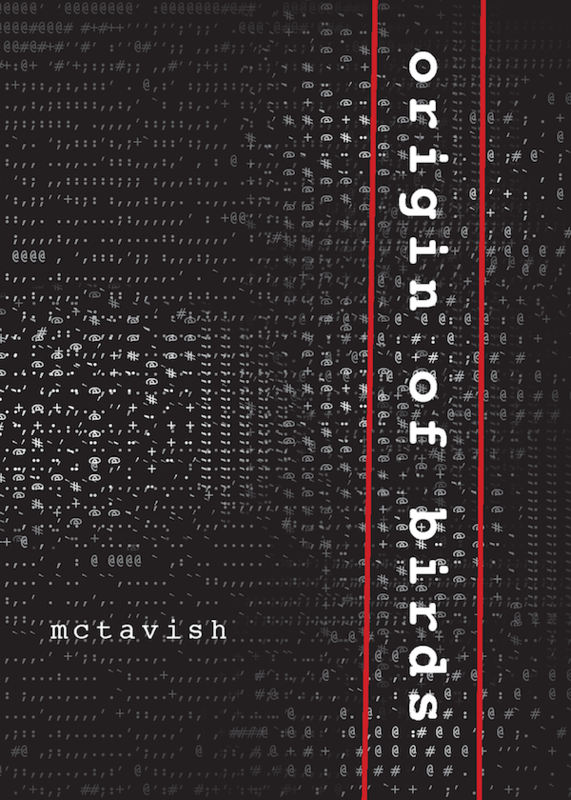 In more recent times, soon after Darwin published his book, "On the Origin of the Species", scientists began a heated debate about the origin of birds. Most scientists today believe that birds are one of the few remaining descendants of the dinosaurs. In our own brief Anthropocene era, we are witnessing a rapid increase in the rate of extinction. We are in a geologic epoch marked indelibly by a human-created, asteroid-scale period of rapid loss of life as we know it on the planet. This planetary devastation is moving very quickly now. Soon birds quite possibly will be swallowed back into some primordial chaos. Or perhaps these small winged dinosaurs will survive another wave of extinction - another geologic era and we will be the ones whose wax wings burn. I created a film generator called the graffiti angel to express a stuttering before god - an infinite resistance / a relentless howl or noisy elegy - a way to respond, to witness. The "origin of birds" exhibit first appeared at the Prøve Gallery in Duluth, MN in 2014. The physical installation has a companion interactive web site (originofbirds.blueboatfilms.com). The origin of birds mixes image, sound, data, text and a live twitter stream to create a video collage / a multi-sensory torrent. The physical installation includes multiple projections, live performance, and QR code "portals" into the interactive web environment. I am hoping to create a story "swarm" - an immersive river. The online website allows you to drill-down into individual text, image and sound pieces of the larger work - an immersive dive into the wreck - grief and ecstasy, a queer flame, a sanctified rejoicing amidst the rubble of it all. This book is a companion to an abstract, experimental film also called "night train / blue window." The abstract film and text both center on the ill-fated efforts of a bird named pullman to turn back time to before that day in 1914 when the last passenger pigeon, Martha, died in a cage in the Cincinnati Zoo. Kathy McTavish is a cellist, composer, and multimedia artist. Gary Boelhower writes: "Part of my meditation this morning was night train/blue window. This book is a searing song of loss, grief flame, black hole whole and somehow, somehow, somehow hope. In the reading and seeing, your body may become cage bound, zoo lost, saddened with each dry seed to keep the body's light flying against the dark. You may come to remember that you are holy flame holy wheel holy holy holy. You may learn to say the name of Martha as the sun breaks or moon shines, to say the name of Martha for all of us who are carriers. 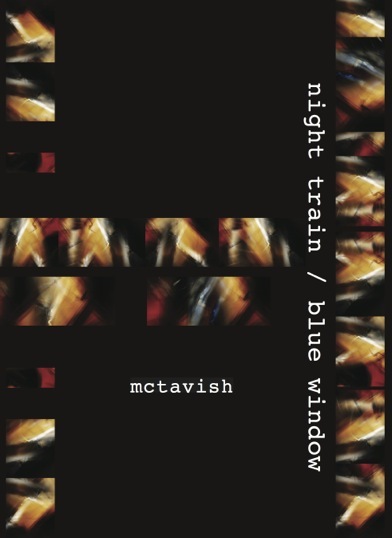 McTavish gives us the story, the hymn, the lamentation, the praise song, the train, the blue window. This train will take you...	"
Composer, cellist and multimedia artist Kathy McTavish writes about her music and experimental film. 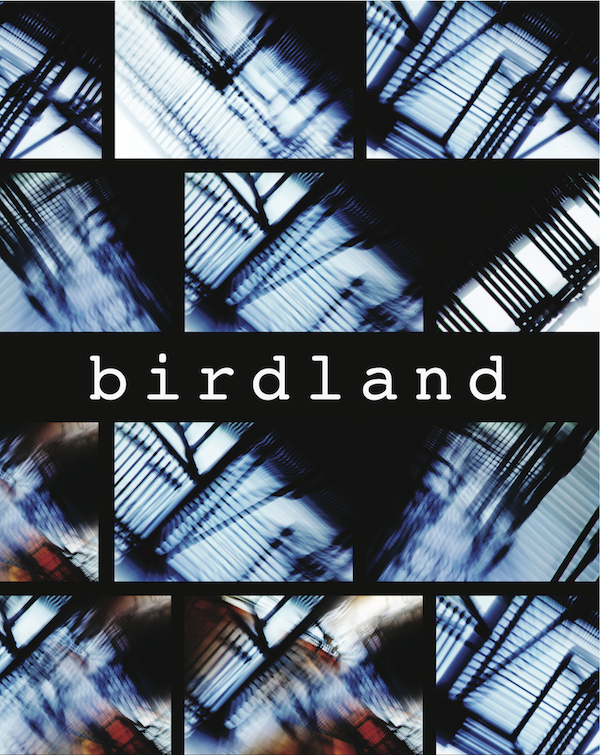 This book features sequences of black and white photo images from the film birdland, photographs of cello performance and includes a long poem, or score, for her unique fusion form. McTavish has received Jerome Foundation, American Composers Forum commissions and several awards from the Arrowhead Regional Arts Council. Migrations: Poetry &mp; Prose for Life's Transitions features of the work of 75 Lake Superior area and northern Minnesota writers. The book is edited by Sheila Packa, Duluth Poet Laureate 2010-2012. Included are many accomplished writers (Connie Wanek, Ellie Schoenfeld, Deb Cooper, Gary Boelhower, Linda LeGarde Grover, Ryan Vine) and excellent new writers. Each writing captures a moment of change. These changes range from having a new baby to death of a loved one. Some have written about aging, children growing up, illness, bird migration (including a bird being trapped and a bird that doesn't want to migrate), leaving a relationship, moving through violence (several poems, and one specifically about her sister's murder from a domestic violence), and also actual migration (one leaving Argentina during the terror there), and moving back and forth from Minnesota to work in Antarctica. You will love the strong and beautiful collection that shows we are all birds in a larger pattern of migration traveling back and forth from memory to new beginnings. Marrow, Muscle, Flight chronicles the everyday infinite affections of a gay man interacting with his children, creating a home with and grieving the death of his partner, and finding again how "the fierce river in the heart begins to flow." These poems celebrate the sacrament of the body and chant the rituals of longing and loss; they explore how each life is imprinted with family secrets, the journey of forgiveness, the "long sigh of belonging," and hands that know each other by heart. Boelhower invites us to feel the "soft wind full of salt from the infinite sea," hear the songs in our "bones, hollow flutes for a symphony of luster," see "white gulls dance their feathered alleluias down wide aisles of jubilant dawn." These poems evoke the courage to "fling yourself open toward the horizon." Gary Boelhower, PhD is a professor of theology and religious studies at The College of St. Scholastica in Duluth, Minnesota, where he teaches courses in ethics, thanatology, spirituality, and leadership. He is the co-founder of the Center for Spirituality and Leadership at Marian University in Fond du Lac, Wisconsin.